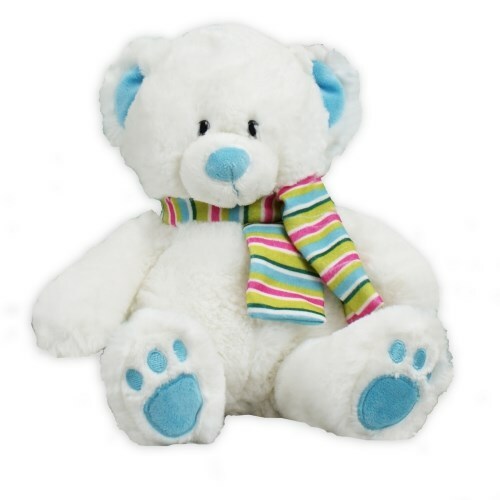 Blue Slopes Teddy Bear - 12"
Slopes Teddy Bear is an adorable white bear with blue accents. It measures 12" from head to toe and wears a multi-colored scarf. Slopes loves the snow and is ready for holiday season. Surface washable. Free Gift Wrapping and a Free Gift Card are included to help create a thoughtful presentation.